These warm, golden sunsets are making their way out for the year and it’s getting colder and darker earlier each night! I know, it happens every year, and every year I don’t stop talking about how cold and dark it is in the winter. I just like to be warm. Happy 2nd Birthday (yesterday) to mister Carson! He is such a sweet and adventurous little one. We had a great time roaming around at this location, it’s so fun and unpredictable having sessions with toddlers, but the best images are the ones where they are doing their own thing, and their little personality comes out. This fall I really enjoyed focusing on the rich golden hour colors during sunset. Even though we lost about a good month of summer with the wildfires and all of the smoke in the air, we actually have had SUCH a beautiful fall. 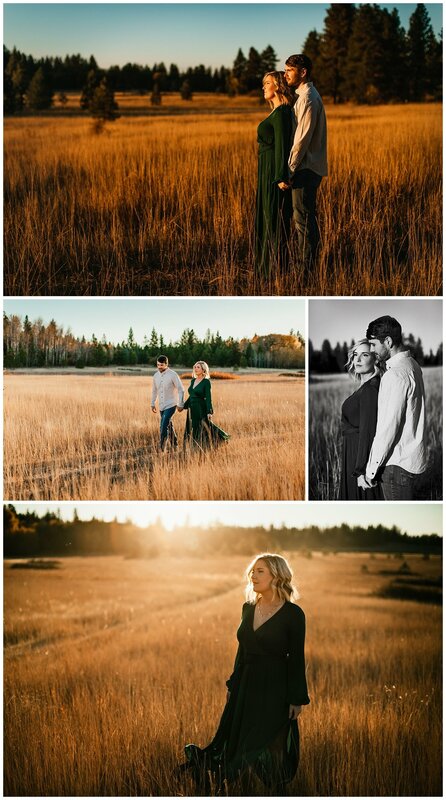 It was a little different than the usual hunt for the perfect fall leaves and I just feel like there’s something so romantic and beautiful about the tones and setting me and my clients were in!